In June 2017 twelve top St. Louis area wedding vendors collaborated on a romantic photo shoot – with a twist. This photo shoot ended in a real surprise proposal. Love stories are our favorites. Having the opportunity to play a small part in a real love story? Now, that's pretty special. Katelyn and Colton's story began in college and was made official with their unforgettable engagement in June 2017. Continue on for the behind-the-scenes story of this memorable and magical engagement created by a select group of St. Louis area wedding vendors. The models and now happily engaged couple, Katelyn Evans and Colton Drollinger, agreed to participate as models in a styled shoot after touring Haue Valley in April 2017 and securing their July 2018 wedding date at the venue just west of St. Louis. 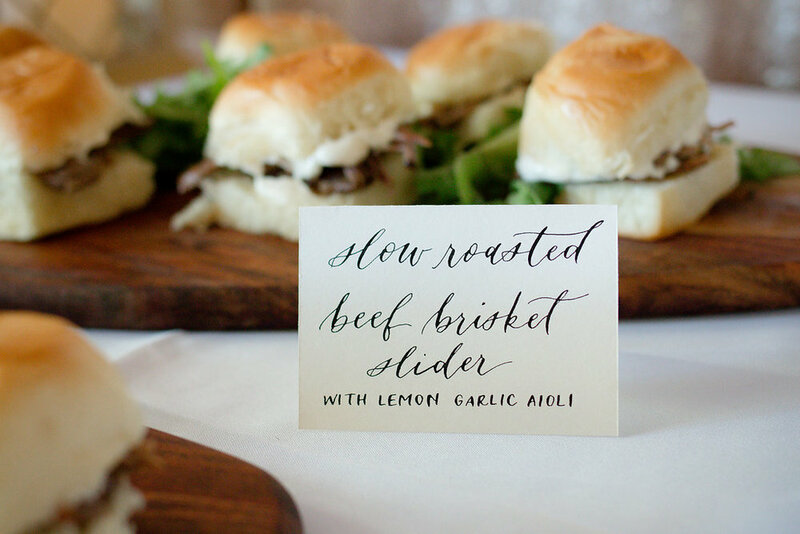 Binford learned that the photographers for the styled shoot, Sydney Pillitteri and Tony Kell of Chosen Photography, knew the couple through a friend, and that friend, Lyndsay O’Neil, was a cake designer and owner at Cake House Design. O'Neil also just happened to be the best friend of the bride-to-be. Quickly the pieces for the shoot fell into place. The jewel-toned styled shoot was adorned with more than 1,800 roses, peonies, dahlias, and eucalyptus stems. The over-the-top florals and décor were meticulously styled by An Affair to Remember, a St. Louis based florist and rental company. As planned, the engagement came as a complete surprise. Colton knew Katelyn was the woman he wanted to spend the rest of his life with from their very first date. So when approached with the opportunity to surprise Katelyn with an over-the-top proposal carefully coordinated by some of the top wedding vendors in St. Louis, he jumped at the chance. "I wasn't familiar with the idea of a stylized shoot, but once I learned more about it I knew this was an incredibly special opportunity for the perfect proposal," said Colton Drollinger. Katelyn knew she was participating in a styled shoot as a model, so getting dressed up in a beautiful gown by Camille La Vie, and having her hair and makeup done by Sarah Hawthorne Hairstyles and Makeup by Helena, was already on the agenda. Colton was dressed in a gorgeous blue tux by The Black Tux and delivered the proposal flawlessly. "I was completely surprised and thrilled by Colton's proposal! Initially I just thought we were posing for the styled shoot, but when Colton got down on one knee, I knew this was real," said Katelyn Evans. "I was amazed at the effort that went into making our engagement so special." The proposal took place on the Haue Valley farm just west of St. Louis, in front of a beautifully adorned floral halo brought to life by An Affair to Remember. The beautiful images showcased here were taken by Chosen Photography and the dramatic sneak peek video was captured by Applause Weddings. Following the engagement, Katelyn and Colton returned to the venue and were surprised by their closest friends and family. "After Colton proposed I asked if our family knew," said Katelyn. "Colton shared they knew the proposal was on the way. I was thinking about all of the phone calls we would have to make! I was incredibly surprised to come back to the venue and see the people I love most. Family is the most important thing to me and I'm so glad they were there to celebrate with us." 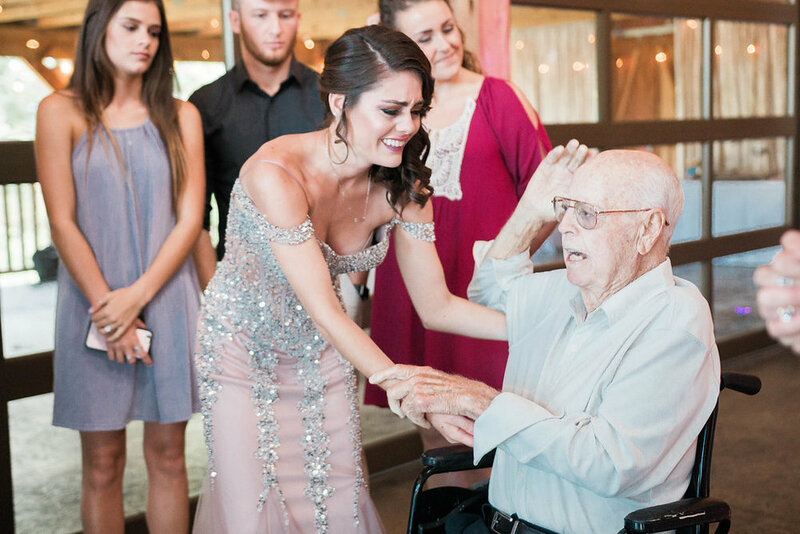 A very special moment came when Katelyn saw her grandpa. It has been years since he's left his home and often misses the opportunity to socialize. "It meant the world to me that my grandpa was able to be there that day. I know that he was so happy to be there," said Katelyn. The engagement party featured beautiful boutique furniture from Renown Rentals, a gorgeous sweetheart table by An Affair to Remember with handmade calligraphy by Yuth Co, and uplighting and the "She Said Yes" monogram by Applause Weddings. The showstopper of the engagement party was an ombre floral petal ring comprised of more than 1,200 roses by An Affair to Remember. "When brainstorming about the engagement shoot, John from Applause suggested a wide open shot of the venue with the couple dancing in the open space," said Jody Cox, Owner of An Affair to Remember. "I suggested we create a giant ring of rose petals. Collaboration and expanding on someone's original idea is part of the fun of these types of shoots." The party was capped off with delicious appetizers from Graze Catering, and an unforgettable cake and dessert bar by Cake House Design. This is just the beginning of Katelyn & Colton's forever love story. Follow Haue Valley to see how their love story continues on 7.21.18. Do you have questions about this styled shoot turned surprise proposal? Need help getting in touch with these magic-making vendors? Give us a shout using the form below.